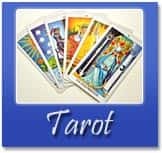 Tarot card reading articles, including the tarot readings, basic tarot, renaissance tarot, tarot decks, major arcana, and extensive information about tarot readings. The Tarot has a long history that dates back to the fourteenth century. The nineteenth and twentieth centuries have seen new interests in the cards. Whether you use them for divination, awakening imagination, or to fostering spiritual growth, it is an exciting journey. The Renaissance Tarot is an extraordinary deck by Jane Lyle. It has the standard amount of 78 cards, and for the ordering of the Major Arcanas the Tarot de Marseille pattern is followed, Justice is 8 and Strength is 11. There are hundreds of different Taro Decks to choose from. The artwork on the decks range from Angels to Animals from Middle Ages to the Millennium. What do you do when you lost something, and you want to find it again? Search for it of course, but it would be nice if you would have an idea where to look. Not everyone would think of consulting the Tarot. First though, let’s take a look at what we do know about that mysterious deck of cards called Tarot. The Tarot cards were used in Italy as early as the fifteenth century as a popular card game by the more elite or noblemen. For some practitioners, the fancy pictures depicted in the many variations of tarot decks available now-a-days seem to detract from the basic messages. Tarot cards and tarot readings often conjure up Hollywood movie images of gypsy fortune tellers that are both mysterious and a little scary. I hope to demystify the tarot by sharing my own thoughts about what the tarot is and how it is used in a real psychic reading.